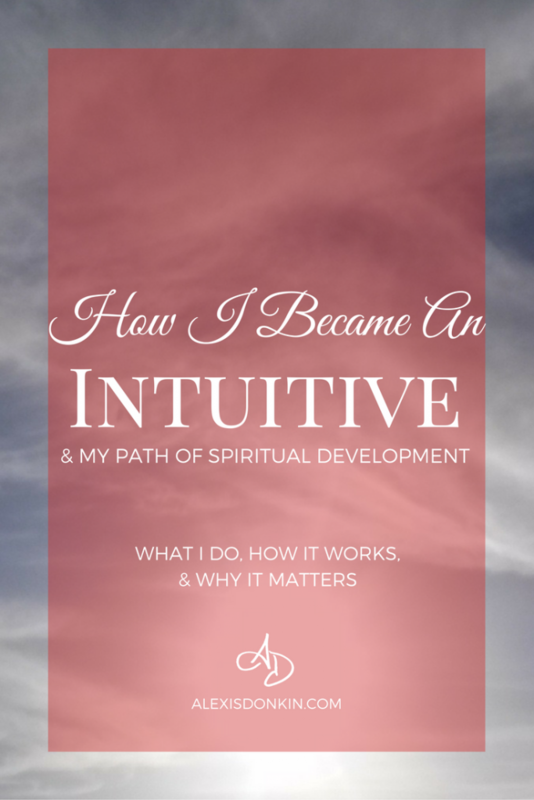 This is my journey into intuition and the development of my spiritual abilities. In it I will share the kinds of things I did to develop them as a child, then denying my spirituality, and finally, coming back around to completely embrace them. After a long time going back and forth, I decided I needed to share this story. There are many paths to intuition, and many levels of spiritual gifts. Because mine are so integrated into every aspect of my life and my work, I felt it was necessary to be transparent about these things. Many public personalities hint at things but do not clarify, with good reason. There are stigmas associated with the things I write here. There are many who will disbelieve me. There are others who would write me off as a human being because of what I can do. It is for all these reasons I make myself vulnerable one more time. If I am not myself and therefore not following my principles, then I cannot ask others to do the same. If I am not open about what I do, I deny you the full reasons how I came to unconditional love, and why this is the only path forward for humanity (and for each person as an individual). Still with me? This is a rabbit hole – in every sense. Let’s dive. I would never call myself a psychic. That word has a lot of false associations and frankly, the images are damaging. 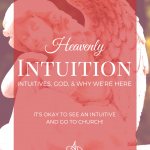 I use the word “intuitive” because it is less “in-your-face,” though you could just as easily call me a psychic or a medium (and in another day in age, there would be many other words). I have the full range of abilities: clairvoyance (clear seeing), clairaudience (clear hearing), clairsentience (clear feeling – often called empathic ability), and claircognizance (clear knowing). Within these abilities, I have everything from inspired nudges to waking visions. I’ve had these abilities to varying degrees for as long as I can remember. While I had them at varying levels since birth, in the last year they matured through consistent meditative practice. I call this collection of abilities different things, including intuition, connection to Spirit (those things that are invisible to the naked eye), or the Other Side (again, things on the other side of physical perception). I use these phrases interchangeably, but they all mean the same thing – abilities that are stigmatized, and often inexplicable, which defy verbal description. While any human being has the potential of these abilities, just like the sense of sight, smell, or taste, some of us have greater inherent “circuitry.” Some people run faster. Others jump higher. Some have a near magical understanding of numbers or machines. And then… there are people like me. The connection to Spirit is nuanced, complicated, and definitely improves with use. A child may be born with excellent hand-eye coordination, but without practice, he will never play professional ball. On the other hand, a child with moderate abilities may study and develop them to become a hall-of-famer. I’ve always been interested in the “uncanny.” Fantasy and science-fiction held a deep fascination for me from a young age. I felt I should be able to fly as a child (and was disappointed to discover, courtesy of a broken collar bone, that I could not). I remember holding my hand before me, thinking if I just walked down the right path, I’d end up in another world. I felt it. 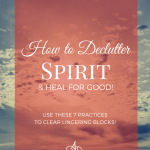 I created sacred spaces by collecting and arranging rocks, shells, candles, and other items of beauty or power. I intuitively understood self-care practices for empaths, spending as much time as I could around trees, flowers, and small animals, despite growing up in a city. Around puberty my abilities made a jump. I started to get senses about people, but I didn’t understand what they meant. I started to get the emotional energy of places, soaked up by centuries, or special trauma (The Tower of London, for example, made me nearly throw up just by being in the space.). I had deja vu experiences at crazy levels – sometimes 5 or more times in a single day. And then the dreams started. I would have dreams sometimes months or years in advance, and then watch them play out in real life before my eyes (This included things from interactions with others to entire episodes of brand new television shows.). It was around then I began lucid dreaming not realizing that it was unique or unusual to do without effort. By the time I was in college, I began battling my abilities. I ignored my internal nudgings and downplayed my dreams. I pretended they didn’t exist – or that what was happening was just in my mind, even though I knew it was much more than I could create. I did this because it was overwhelming to think I knew things before they happened, to know what bothered someone before they spoke a word, or to be in communication with things beyond the visible. I was unsure of myself, and surrounded by many people who had severe psychological issues. I didn’t think anyone would believe me. Unfortunately, the emotional burden of the environment and the profound brokenness of the student body wore on me. I cried out to anyone, feeling completely lost and defeated, hoping that prayer might actually work. That was the first time I had a complete waking vision. Not long after was the first time I channeled from a direct source – when I spoke words that were not mine, and were exactly what someone else needed to hear, and I knew they were true. I told no one because I didn’t think anyone would believe me. I thought they would call me crazy and try to put me on medication for something that was as natural as breathing, seeing, or touching. Part of me wanted to explore this part of myself, but the other thought there was no point. I’d been discouraged from this by popular culture (Too many fictional psychics get hospitalized and labeled schizophrenic! ), and by religion (Despite there being mystical sects in all major religions, I didn’t know any mystics or how to practice that path.). I’ve talked about undergoing a tremendous spiritual transformation on this blog, but I’ve danced around what this means practically. I went from not understanding what prayer was (thinking I was just saying words in silence for no effect) to being able to see the collective prayerful focus on the protectors of Standing Rock. I understand now that the descriptions in Buddhist texts are pieces of truth, just as those of Hinduism are true, as are all religious texts. They’re all trying to describe the same thing – which is, the invisible – and incomprehensible to the human mind. Language is limited when it comes to the realm of Spirit. I can describe things to you that may as well come from Harry Potter or Dr. Strange, but thinking about Spirit in terms like Harry Potter or Dr. Strange is woefully limited. This is like using a crayon scribble by a toddler to explain Monet or Rodin. It’s like using Chopsticks to explain Mozart. It doesn’t come close. And some parts are completely wrong. There is no comparable experience to the Other Side. Time is different. Life and death do not mean the same things. The struggles of Earthly experience are insignificant. There are two pieces to this intuitive bit – there are the abilities or senses themselves, and then there are the things I sense. Most of the things I sense cannot be seen or understood with other senses. My strongest intuitive ability is clairvoyance, with a close second being clairsentience, so when I talk about my experiences, I usually use the word “see” or “feel.” If I “see” something, it won’t look that way to you. I “see” things that are invisible to the average person, and typically in my mind’s eye. But what do I see? Well that depends on what I’m doing. Often I see sparkles – these are with my naked eye, and typically in response to someone’s reaction, or some stimulus going on (think: I say something, the other person reacts, and the sparks get “set off” – though sometimes they just show up because). They can be any color, though I tend to see more white and blue. Recently I’ve been seeing some pink and lavender. These can be little pricks of light, to orbs, all the way to full forms (which is much more rare, and usually to the side of vision). If I’m reading energy, I see the aura of people – where they’re hurting and where their skills come from. Sometimes I see objects that indicate something of particular interest – like if you were struggling with money, I might see that struggle in an image. Other times I’ll get a “feeling” that a person should do something, or that I need to tell them something specific. I can also see and feel the energy of inanimate objects, as well as that of animals and plants, and can read what is in a place (from the content of soil to the animals in a forest). I can also experience life through another being’s senses – so I can share the senses of a cat, for example, a tree, or even another person. Beyond energy of things that are visible, there is also what I “see” that has less physicality – like the energy or emotional focus of a group of people, such as the fear and hate after the election or the love pouring into Standing Rock. I should say before I continue, I’ve also had communication with the Spirits of people who are alive in the now. For the most part this is with other intuitives, shamans, mediums, etc (you pick the word you like). This can be through dreams or waking, and can take place in any realm of Spirit (more on that in a bit) and are rarely people I know personally. Finally, there are things that have no tie to physical experience. The easiest thing to understand is seeing the spirits of people who used to be alive because much of this has been communicated in popular shows like The Ghost Whisperer (somewhat true) and Medium (fairly accurate). Spirits could be in “Heaven” (for lack of a better word) or more accessible on Earth (again, for lack of a better word) when they reach out. Sometimes they come around because they knew me (most likely) and or know I have an “in” to communicate something to someone who was close to them. Often this happens soon after death, though it can happen at other major milestones, or other emotionally important events for those involved. 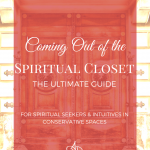 Most recently I responded to a social media post about a recent death at the urging of the spirit – though I had no connection to either party. This will be hard for my less spiritually inclined friends to stomach, but I will do my best to not completely alienate you. As far as I can tell, there are a variety of higher beings that do exist. I feel as though I have more to learn about these, but there are a few that I know, without a doubt, that are extraordinarily active (especially with me). There are, as have been communicated in many sacred texts, angels. Those are real – and they come in many varieties. Acknowledging and seeing angels was hard for me. Despite growing up in the Church, I thought angels were metaphor. I thought they were not real and some kind of “well someone was really nice, so they seemed like an angel.” Yeah, there may be some people who channel angelic words, but there are angels. A lot. There are guardian angels for example, and I’ve talked with several of them. 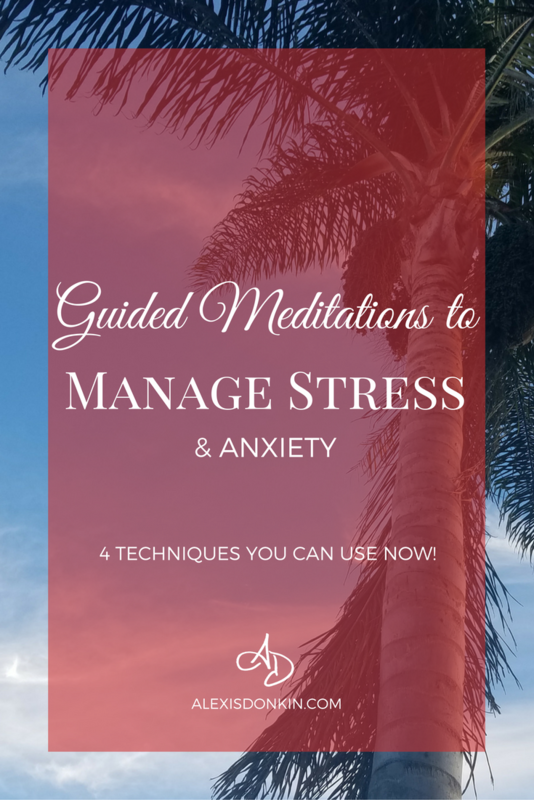 I’ve been asked by guardian angels to take action as well as communicate messages directly. I see my son’s on the regular, who is for the most part, doing their best to keep him safe from himself (as children so often need!). They are one I’ve seen most clearly, and with my naked eye (not only my mind’s eye). There are other kinds of angels as well, though I have fewer interactions with them. Primarily those are relegated to specialized communications, like missions, prophetic messages, and responses to prayer. Angels, however, are not the only beings with whom I am in contact. I also communicate with those who have ascended – teachers and spiritual masters who have reached a state of “enlightenment” (once again, for lack of a better word). The popular title for these beings is “guide.” A spiritual guide can be just as varied as any person – and changes depending on the journey. For example, I started with one team of guides at the beginning of the year, and then it changed a month in, and changed a second time in a matter of months (and it feels as though it’s changing again as I write this). Those are the beings I communicate with, but we don’t always “talk” (this goes back to my abilities which allow the full range of communication possibilities) and when there is communication, it’s not always here. Remember: the invisible is nuanced and complex. There are many layers and often language fails to accurately describe the space of Spirit. I’m still uncovering places on the Other Side. When I say Other Side, this is any space that exists alongside physical experience. The best way I can explain it is the Buddhist Wheel of experience – all places exist simultaneously (this is what has been shown to me). From what I understand, or can tell, there are as many places as are possible. Whatever can be, is, and they are all part of experience. There is something like Heaven and something like Hell, both self-chosen states. There are thousands upon millions of states in between. The places that are universal may be experienced a million different ways, according to your perspective (i.e. Heaven may look like one thing to you, and another to someone else, but both are the same place). None of these places will look exactly alike from one person to another. Knowing this, when I do have communication, it tends to happen in very specific ways, and in regular locations (unless there’s a reason for an unusual location). If I’m given visions, that is what I see. They appear in my mind’s eye and that’s the end of it – primarily using symbols to communicate complex ideas in a short span. Visions often happen in threes – so the message will be communicated three times, sometimes the exact same vision. Other times each successive viewing will show a bit more, as if establishing a line of thought. If I have an interaction like I might with a person in the physical, those conversations may happen wherever I am. 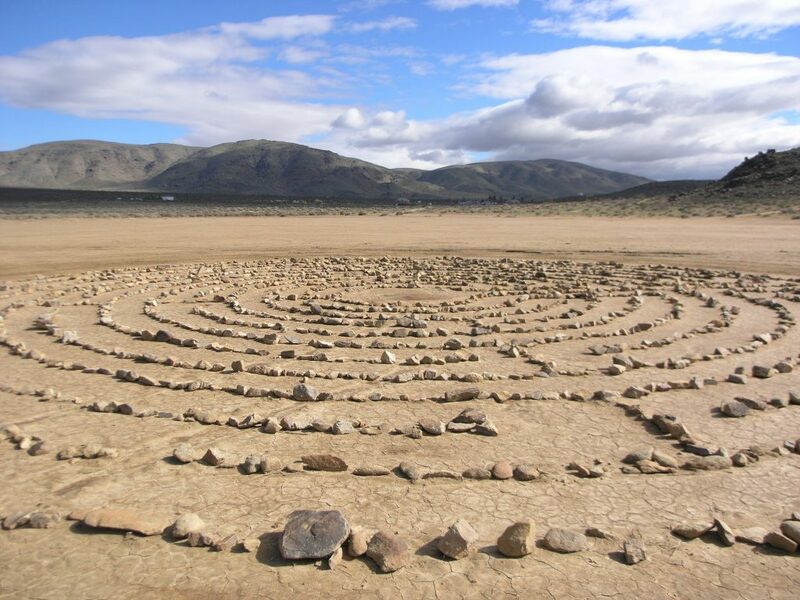 Other times, I visit other places in my mind’s eye– like a great hall of light, a cathedral, a beautiful garden, or the Spiritual version of Earth (for lack of a better phrase – the way the Earth looks from a Spiritual state). Sometimes I meet my guides in a cave of elements. Other times we talk in a monastery. Still other times, we talk at a mountain summit. Angels tend to communicate where I am, or in a hall of light, and present themselves as they are comfortable. There are a few reasons I still go to church and maintain a Jesus affiliation, despite my broad understanding of Spirit. Religion is the biggest most important step to laying a foundation for spiritual development. The scripture of religious texts is incomplete – no text has it all. But all have pieces. The traditions are incomplete. Again, no tradition has it all – but all have pieces. The teachers in all faiths have incredible knowledge and have devoted their lives to the study and practices of their traditions. These provide excellent places to begin this journey, and all help to ground one’s practices as the journey continues. Religions are, however, cultural reflections of the Greater Path (more about what that is in a bit) which means they generally speak best to those from their respective cultures. Community is essential to a healthy spiritual practice. I believe in fostering and encouraging spaces that recognize the inherent value of each human being regardless of status or identity. I really like Jesus’ ministry and prefer the Gospel to other teachings and religious emphases (admittedly Buddha comes in a pretty close second). I grew up as a progressive Christian and I believe the tradition has value that should be fostered and continued. I want my son to have a spiritual foundation from which he can understand and build his own exploration as a teenager and adult. Rather than pushing me away from religion, my intuitive abilities have strengthened my sense of its value and importance. I found greater meaning in scripture, prayer, and worship AFTER my spiritual transformation. I’m sharing all this because it leads directly into my focus of active love. The message across faith communities – across traditions hints at a universal understanding. That universal is unconditional love. When someone says “God is love,” they could not be MORE right. That is true. I don’t say this because I believe it, but because I’ve seen it. The word “God” is better than some words, but we could easily substitute Divine, Source, Creative Urge, Universe, or Great Spirit to talk about that glorious force (because from what I can see and have experienced, it is more unifying force, less bolt-throwing Zeus). And what is that glorious force? What is that infinite thing that goes beyond time and space? Love. Truly. At the center of God is love. The energy of God is love. The Universe trends – always – towards love. The whole reason we’re here is to receive and express unconditional love. When we get to that point – we have succeeded at being human. We see the interconnections of all things and achieve our birthright. 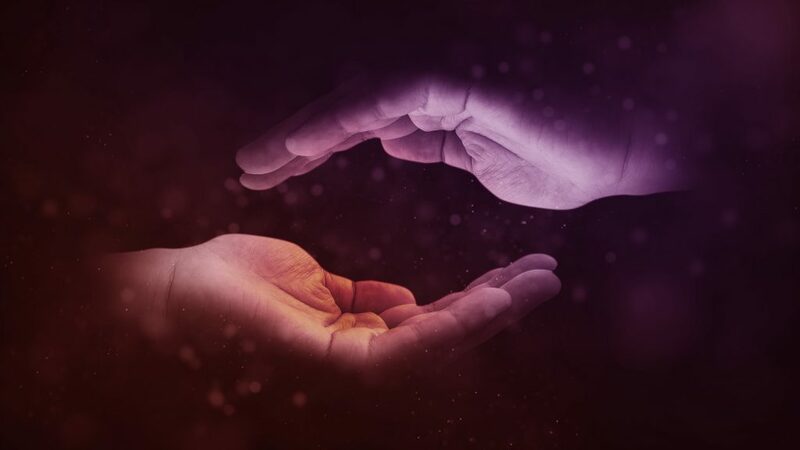 All the tools we’re given – the relationships, skills, resources, and experiences – are all in an effort to reach that state of unconditional love. Some people have an easier time of it than others for a variety of reasons, no matter what they are given. Anything can be a help or hindrance on the path with the right perception. Holy texts all point to this. Great spiritual teachers all point to this. Anyone pointing to anything less is not a master of the Greater Path (and that’s fine – we have different journeys, and we’re all in different phases of our development – just know what kind of teacher you’re getting!). I can tell you – I have watched the darkest things transform before my eyes through the power of love (both in the realm of Spirit and on Earth). I have used this to transmute any and all things into beauty, peace, and joy. I have witnessed healing through love, of body and spirit. This is my calling – my purpose. I am here to shine light on things, and apply love. I am here to be a compass on that journey for others to claim the only treasure worth claiming. I am here as a midwife for this great rebirthing of humanity through love. All the little acts – the daily practices – they all serve as steps through that labor. They all bring you closer to the ultimate goal of unconditional love. And like birth, I can’t do the work for you. I can only guide you in the process. I can show you what you need to see and tell you the words you need to hear when you need them. The laboring belongs to you. If you have a question you want guidance on or are interested in coaching, please contact me here. Sending you love and light! What are Intuitive Answers & Personal Readings? 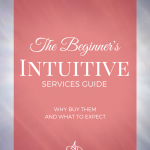 Pingback: The Beginner's Intuitive Services Guide - Why buy and what to expect!